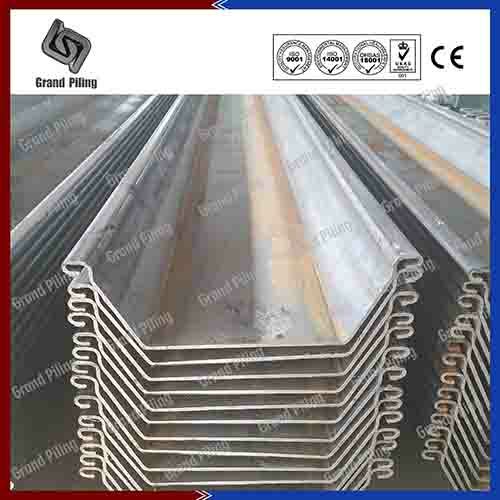 Cold rolled or cold formed U type sheet piles are most widely used in Asia,like in China, Philippines, Indonesia, Malaysia, Singapore, Vietnam etc.In Middle east, we have shipped our cold rolled profiles to almost every country: Iraq, Iran, Jordan, UAE, Saudi Arabia, Bahrain, Kuwait, Pakistan etc. In Australia,Africa,North and South America,we also have numerous clients and projects. 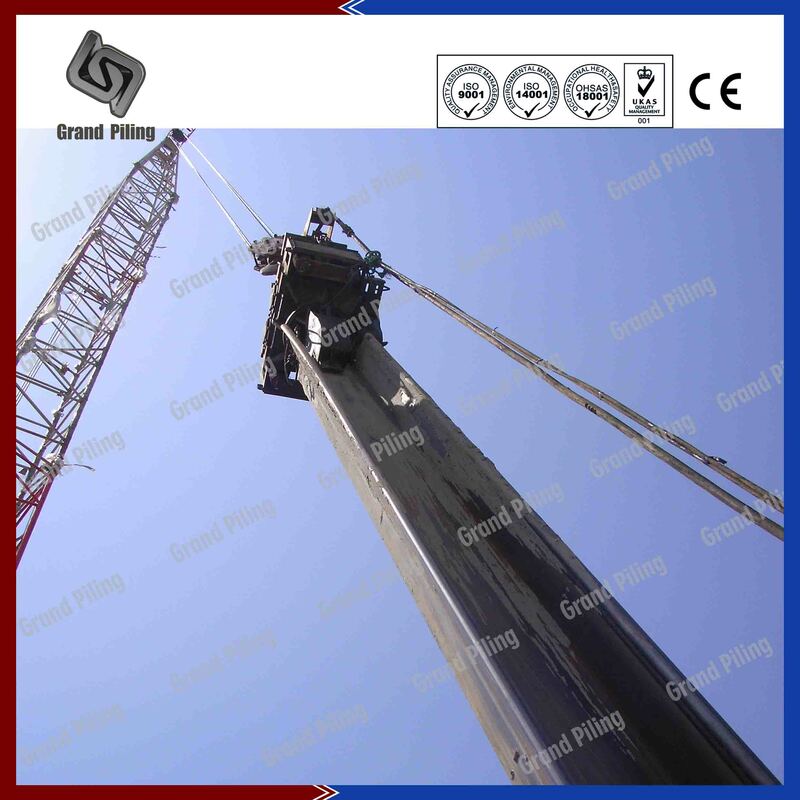 Sheet pile can be supplied in single pile, double piles or even triple piles. 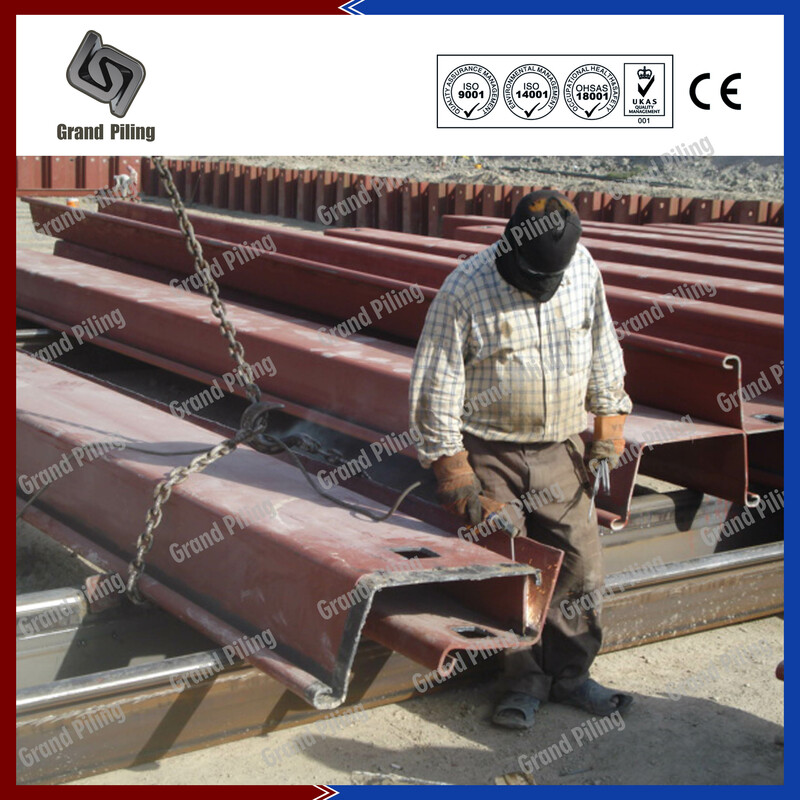 Steel sheet pile contractors choose U profiles mainly because the interlocks are located on the neutral axis. 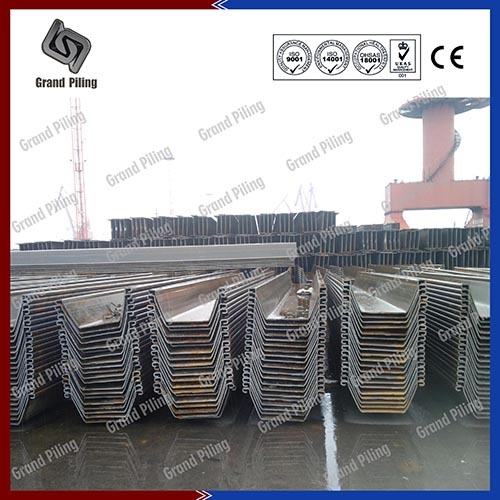 In theory, our sheet pile factory can produce any size. 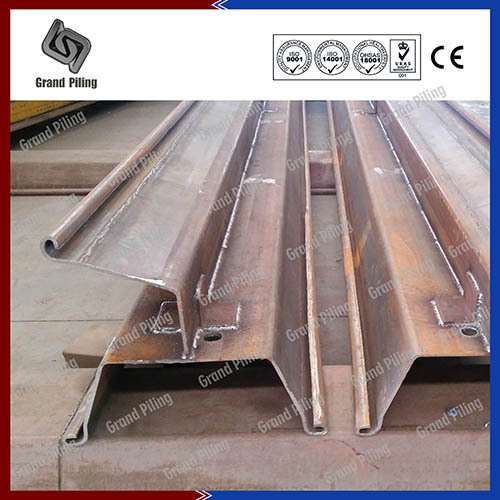 Cold rolled sheet pile or cold formed sheet pile are produced in this way: Steel plates go through various roller to form shapes, in most sheet piling factory, the interlocks should be formed at first, then other profiles. The whole rolling process is done at normal temperatures, cold water will be poured at the sheet piling machines to cool down. 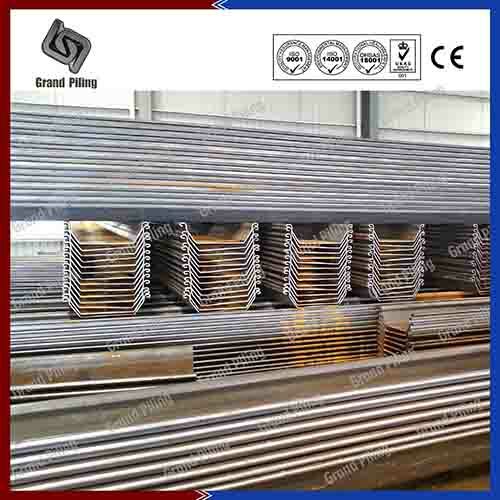 The cold rolling process increases the yield strength and hardness of steel. 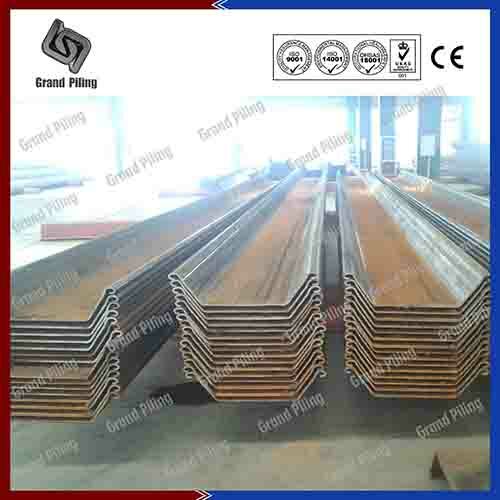 Previously sheet piles were only light gauge profiles, but gradually as technology develops, now the thickest cold rolled sheet piling is 16mm. Width can be over 1500mm. Cold rolled sheet piles are lighter and easier to transport and delivery. 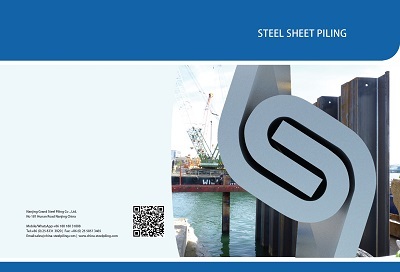 U type sheet piles have been driven and installed throughout the world for many years. Our U profile sheet piles have not only narrow sections for hard ground conditions, also have very wide sheet pile sections when the grounds are easy to drive. 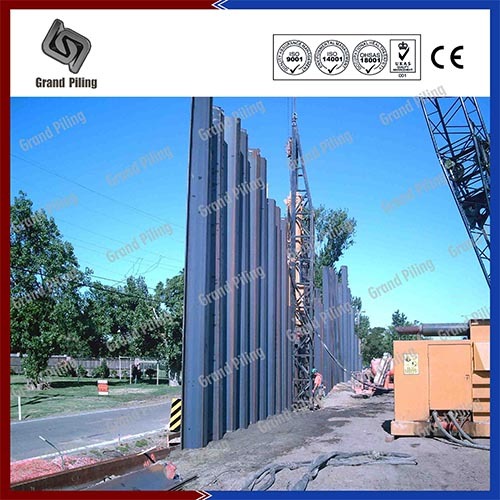 Sheet pile can be supplied in single pile, double piles or even triple piles. 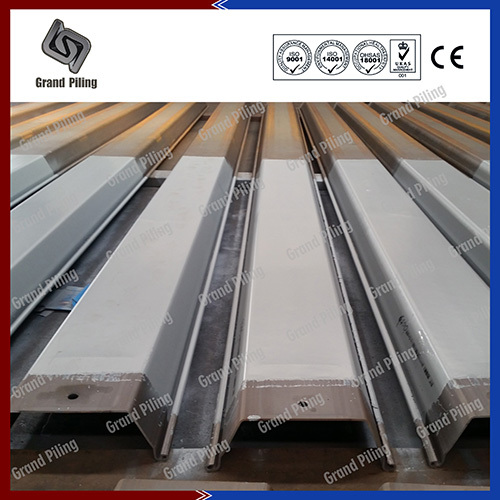 Steel sheet pile contractors choose U profiles mainly because the interlocks are located on the neutral axis. 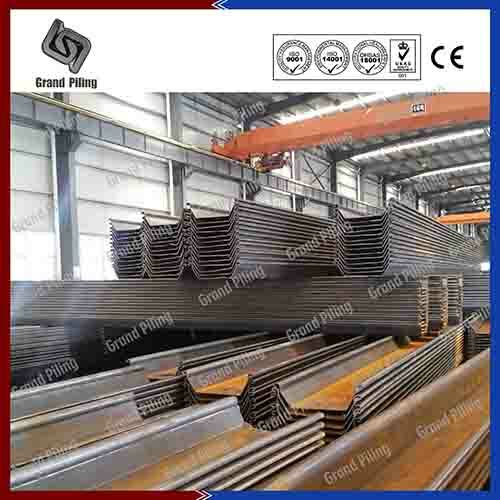 In theory, our sheet pile factory can produce any size,(with any width ,height, thickness etc), like PAL sheet pile, PAU sheet pile, OT sheet pile, Omega sheet pile, sheet pile Arcelor, sheet piling Arcelor, skyline sheet pile, oriental sheet piling .For different ground conditions, we can adjust the dimensions to suit exactly the projects requirements. 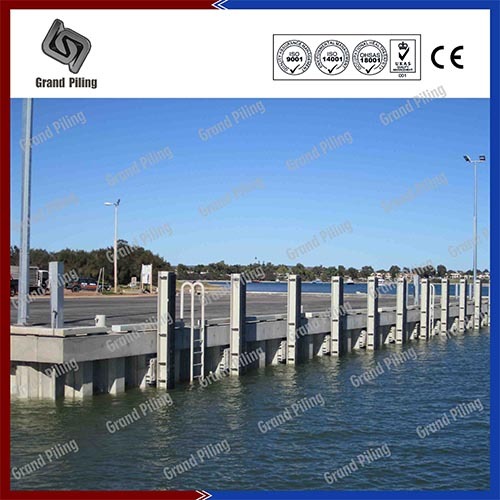 Ø Steel sheet piles are traditional sheet piles, especially in Aisa, like Korea sheet pile and Japan sheet pile. 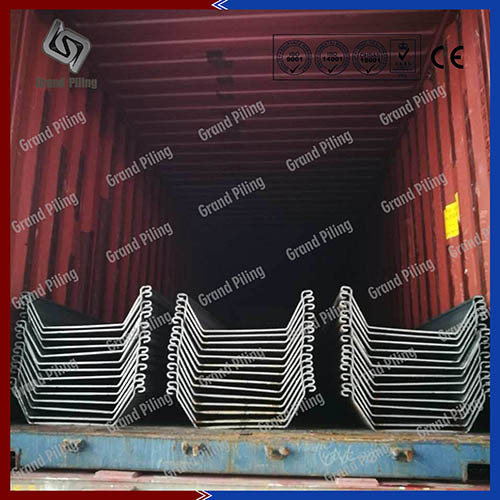 Cold formed sheet pile can be used in anywhere, like cofferdam, river bank protection, deep foundations, land reclamation etc. Note:This table is only part of our sizes.We have over 1000 different sizes.We can adjust our machine to produce in any width,Height and thickness.Please contact us if your size is not in above table.